E-Mail: info@eklundir.com or form below. Please indicate your interests by checking the boxes below. Any comments or questions can be entered in the comment box. Rental cost and availablility of the Ofil DayCor® SUPERB UVc Corona Detection Cameras. 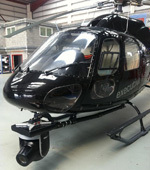 Rental cost and availablility of the EIR400Quad 4-axis active Gyro Stabilized Quad sensor for Airborne Inspection. Price and delivery for purchase of the Ofil DayCor® SUPERB UVc Corona Detection Cameras. Price and delivery for purchase of the Ofil DayCor® LUMINAR UVc Corona Detection Cameras. Price and delivery for purchase of the Ofil DayCor® UVolle-VX UVc Corona Detection Cameras. Please have someone contact me by phone. Welcome Contact Us © Copyright 2000-2019 by EKLUND INFRARED. All registered Trademarks and trade names are acknowledged to be the property of their owners.